It has always been an effort of Presidium Gurugram to develop educational skills among its students and accord a fruitful direction to their talents. 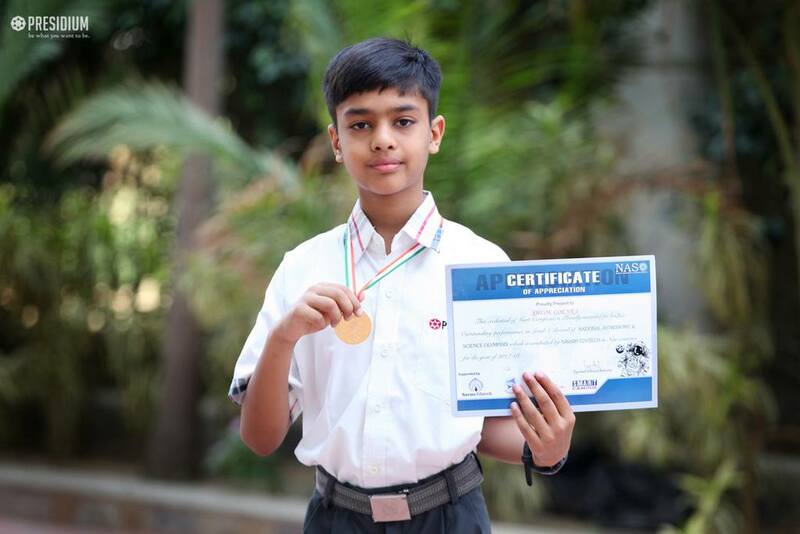 We are proud to share that our budding champ Shlok of grade 5 was enrolled for the National Astronomy and Science Olympiad (NASO) 2017 which is an International fame Astronomy and Science contest in which several Asian and Gulf countries take part. Shlok qualified the first level and added a feather in the Presidium hat of success. It was an excellent opportunity for him to prove his excellence in science and astronomy.